Colombo - Sri Lanka's cricket board on Sunday asked all national players and its employees to cooperate fully with an ICC investigation following allegations by former players of match-fixing and other forms of corruption. 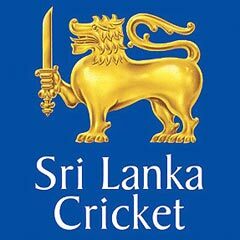 Sri Lanka Cricket (SLC) said its executive committee had directed players and staff to cooperate with investigators from the anti-corruption unit of the International Cricket Council (ICC), which announced its investigation on Saturday. Virat Kohli's visitors took the Test series 3-0 and then won a one-day international (ODI) series 5-0 before triumphing in the lone T20 international by seven wickets in Colombo earlier this month. In July former captain Ranatunga - who led the islanders to the 1996 World Cup title - demanded an inquiry into the team's defeat by India in the 2011 final in Mumbai.